Millions of people visit Gatlinburg and the neighboring Great Smoky Mountains every year, so it only seems sensible to throw in some ideas on how to save money on your next trip without sacrificing your enjoyment. Here are a few tips on saving that hard earned vacation money specifically in Gatlinburg. Not a real Volunteer so to speak (they have long since passed), but a volunteer at the Gatlinburg Visitors Center on the spur just before you enter the city limits. You may have your own ideas on how to save money but I guarantee you, they know the best places to eat, stay, shop, and hike, and they will be able to answer any questions you have about the area. If you’re interested they will probably give you a history lesson in the process. Yes, it’s free. 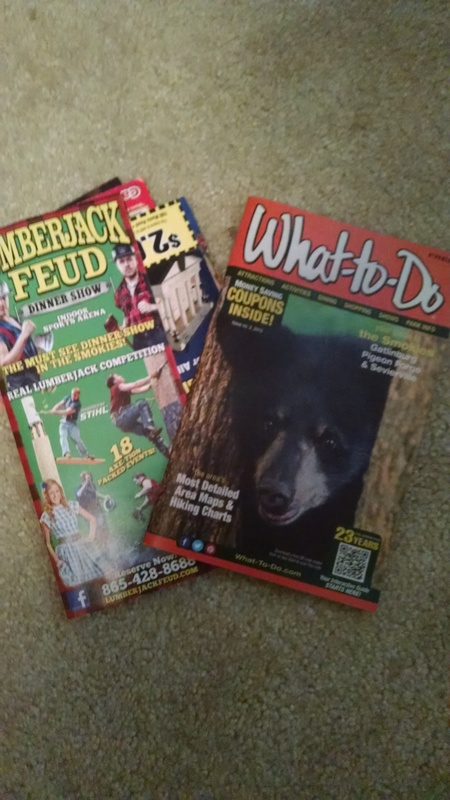 Once you set out for your walk in Gatlinburg, I don’t believe you can walk more than a hundred feet without finding a stand with books of coupons inside for activities, eateries, and shopping. I would advise you not to make eye contact with timeshare people who like to pop out of hidden spots or hollers on the Parkway with their own books of coupons. I would even bet money that you will find a welcome share at the hotel you’re staying at in town. Ok, so it doesn’t quite rhyme, sue me. But really, after a hearty breakfast, you may not feel like lunch. That’s quite alright, because there are shops and stands in town where you can sample the many varieties of eats on the Parkway. There are a handful of fudge shops, for example, that can serve as a nice stop-gap until your next meal. Come to think of it, I think I may have an idea for my next blog post. Stay tuned.